Professor Ango Abdullahi, a former Vice Chancellor of Ahmadu Bello University and a chieftain of Northern Elders Forum, NEF, has described as ‘unfortunate’ the call by former Minister of Defence, Lt. Gen. Theophilus Danjuma (retired) on Nigerians to defend themselves in view of the spate of killings going on in the country. Danjuma, who is also a former Chief of Army Staff had also accused security operatives of giving cover to criminals to kill Nigerians while speaking at the convocation ceremony of Taraba State University where he has also conferred with a doctorate degree last weekend. 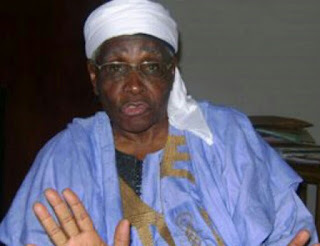 While he was asked about his reaction to the remarks by Danjuma in an interview with ThisDay newspaper, Abdullahi said, “Now that you’re asking me – I almost would have turned it down. But I will say this: TY Danjuma was a military officer; he rose to the rank of a general. Perhaps, he had the opportunity of being the head of state of this country. “For him to have spoken the way he did, I found it rather unfortunate; very, very unfortunate. “Why? Because coming from someone who could have been the head of state of Nigeria, coming from someone who was Chief of Army Staff of this country, coming from someone who was Minister of Defence of this country; for him to come down to this level is most unfortunate. “But if this is the way he feels I advise him to go and wear his uniform and start defending his people in Takum and Taraba State. He should wear his uniform and come out in defense of his people."